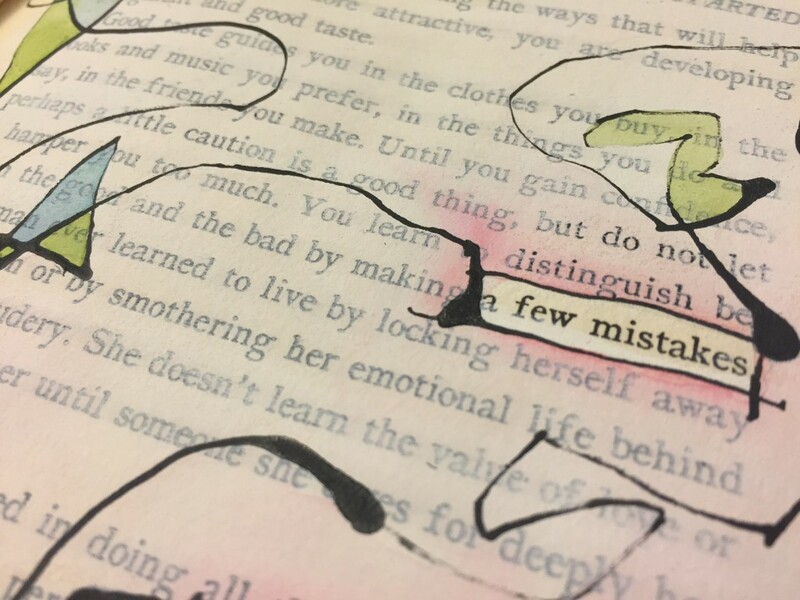 Here's where you'll find all my writings — articles on creativity, creative productivity, getting unstuck, being a passion pluralite, and more, and behind-the-scenes journal entries on the wonderful, messy, sometimes really hard reality of living a creative that so few ever actually share. 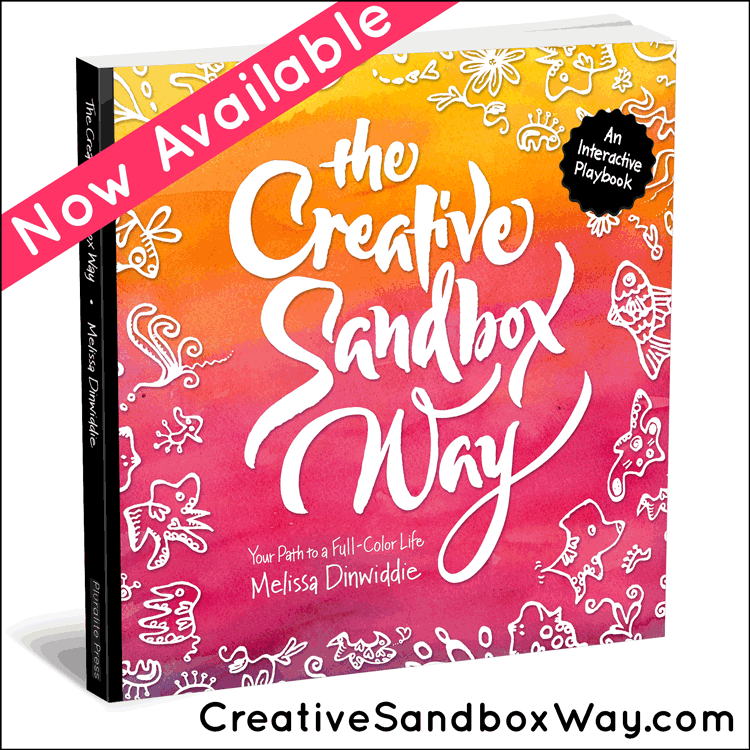 Podcast – my weekly podcast, The Creative Sandbox Way™. 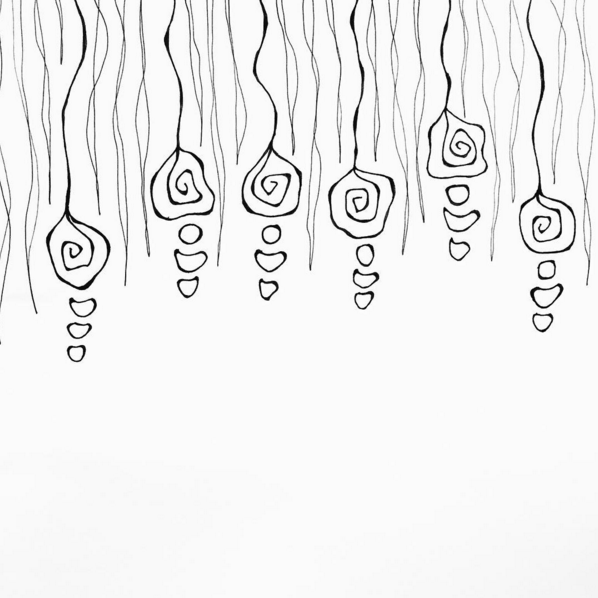 Animation – fun with stop-motion animation! One of the things that creates beauty in formal calligraphy (i.e., calligraphy based on historical models, rather than expressive, experimental, “modern calligraphy”) is consistency. Not only must every “a” be as identical as possible to every other “a,” but the letters in a particular script must feel like they belong together. As if they are members of the same family. What makes letters feel like they belong to the same family? Certainly consistency of size, weight, pen angle (where applicable), letter slant, and relationship to the baseline/waistline are all important. 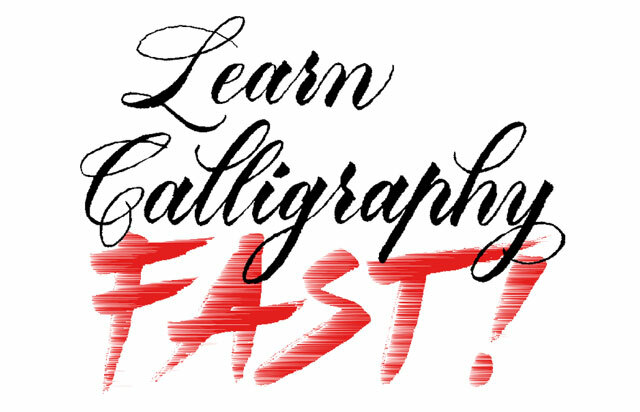 Frustrated with Your Calligraphy (Or ANY Creative Skill You’re Trying to Learn)? Here’s Help! Do you ever feel frustrated with your lettering? Like it’s never going to be as good as you want it to be? Boy, I sure do! Story of my LIFE! In fact, I was sharing in my Creative Sandbox community just this week that nothing brings out my perfectionist gremlins like calligraphy! Letters are such small, precise forms. A half a millimeter in this direction or that could throw everything off! Yes, precision is wonderful. And yes, mastery and excellence are great to aim for. But they are not everything! 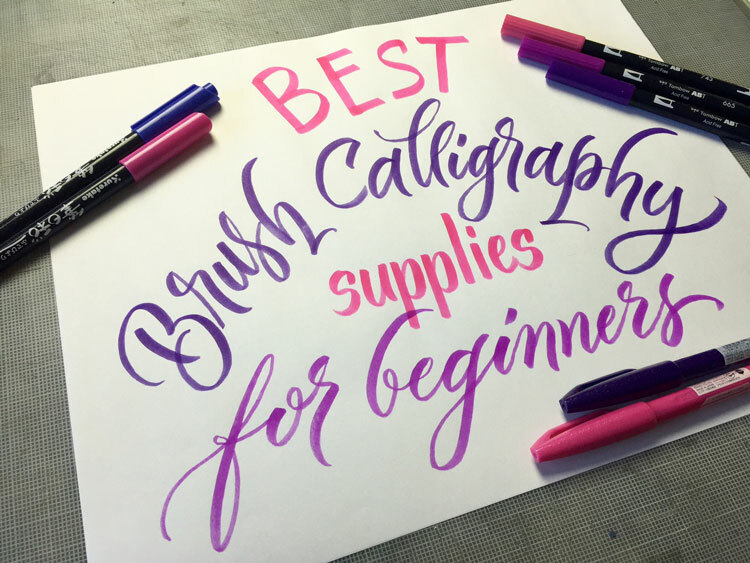 Wondering what supplies you’ll need to get started with brush calligraphy? The good news is, the necessary supplies are pretty minimal. All you really need are two things: pens and paper. Really! Add in just a couple of other inexpensive and easy-to-obtain items to make life easier (guidelines and Scotch Removable Tape), and you’ve got all you’ll need to keep you busy — and develop your skills — for a long time. These are the supplies that I provide my students with when I teach in-person brush calligraphy workshops, because I’ve used them myself with great results. I know my students will experience the least amount of frustration possible if they stick with these materials. Once you’ve got some basic chops under your belt, then you can expand out and experiment with other materials, like real bristle brushes! From Saturday to Saturday last week I was in the redwoods at Jazz Camp West, my annual week of unplugged-from-the-world musical utopia. That week of bliss is inevitably followed by a crash. Some years it’s worse than others, but it always happens. Jazz Camp West is eight days of creative immersion. Eight days of feeling deeply connected to other humans — in the flesh! Eight days of feeling part of a loving community — feeling seen. Most of us don’t get enough of this in our daily lives, so camp is like arriving at an oasis after a long walk in the desert. 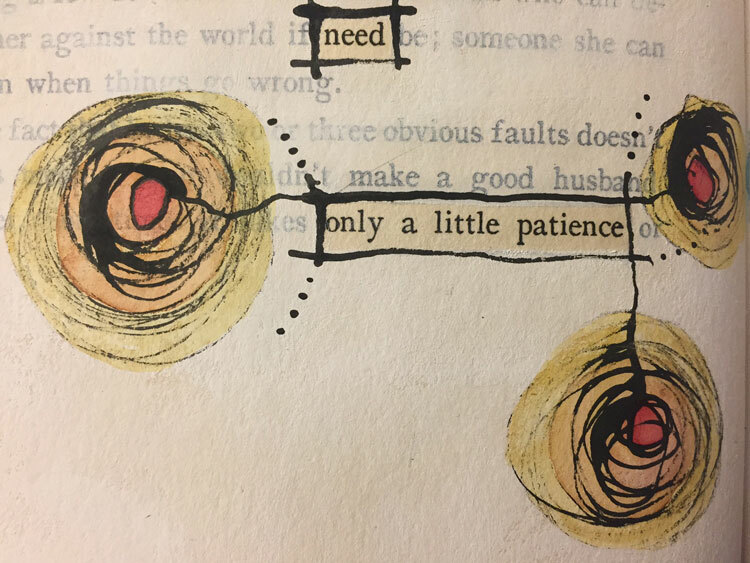 No wonder returning to the reality of regular life, with its day-to-day responsibilities and inevitable disconnection, is always hard. But not just any practice. Effective practice. Good practice habits lead to beautiful letterforms. 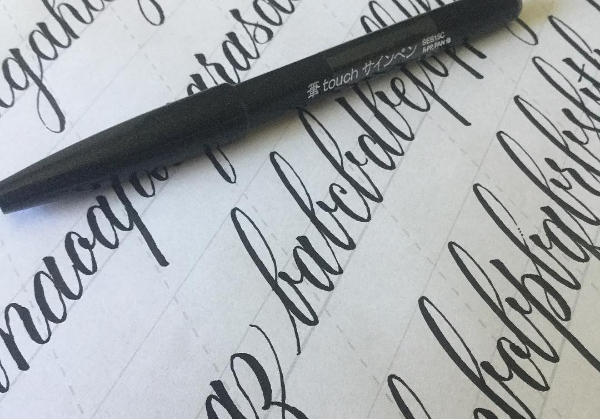 Follow these tips, and you’ll get better at calligraphy a lot faster. Before you check “host virtual summit” off your list of goals for the year, I offer you some friendly advice. First, kudos to you for taking on this big project and huge organizational challenge! 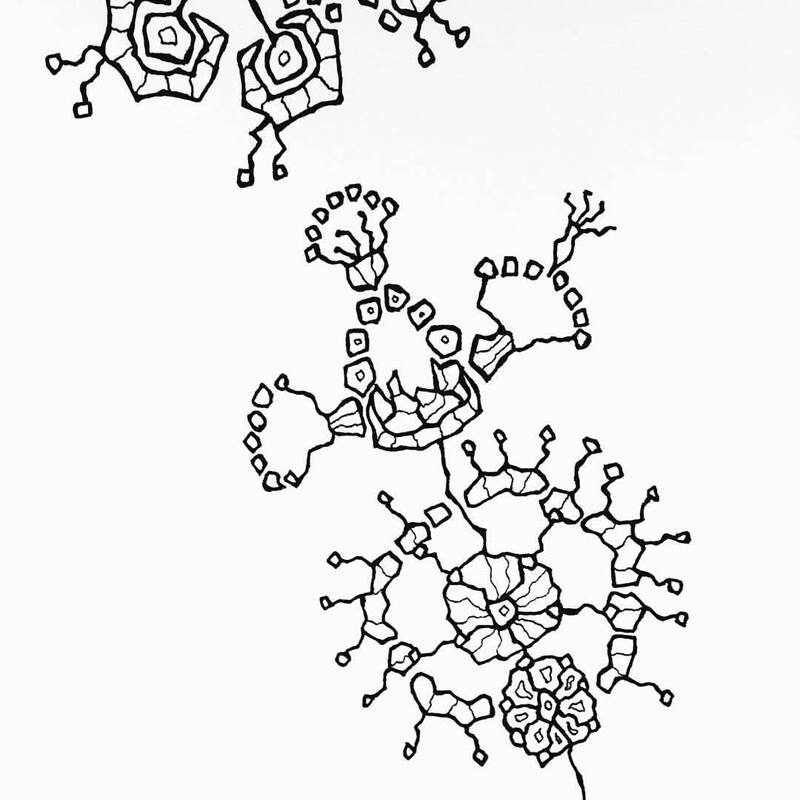 Doodling seems like such a simple, mindless, “nothing” activity, doesn’t it? I’ve been doodling just about every morning since the start of the year, and I’m discovering that it’s quite a spiritual practice. So it languished in my sketchbook while I worked on other drawings. Then a few days ago, after finishing a different design on another page, I was flipping through the sketchbook and encountered this one again. I still didn’t like it. But giving up on it entirely felt… wrong. 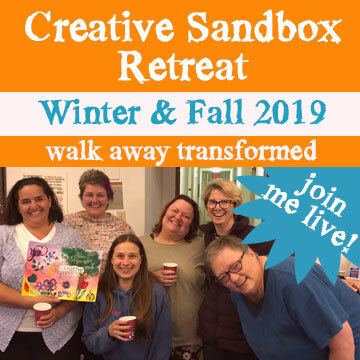 If I’m really going to play in the Creative Sandbox, after all, who cares if I don’t like it? Liking it is not what the Creative Sandbox is about. 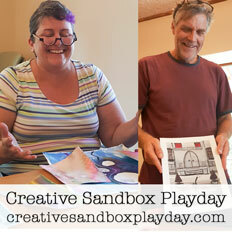 The Creative Sandbox is about playing, trying things, following curiosity, making messes. Whether I like it or hate it is irrelevant. 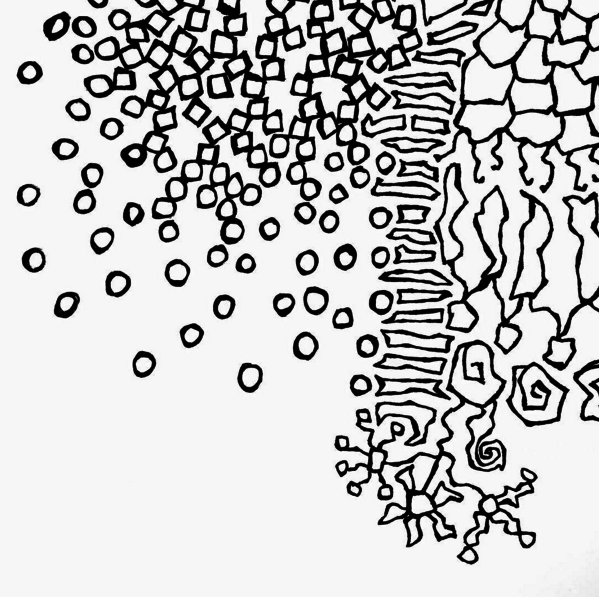 So instead of starting a new doodle on a blank, white page, I decided to try adding to this one — no expectations. 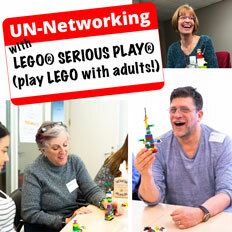 In other words, in full Creative Sandbox mode. Hello. Over the past few days, I’ve shared these detail shots on Instagram (and Facebook and Twitter). Damned if I’m not starting to like the thing more! Instead of provoking a reaction of “meh,” this doodle is starting to interest me. This is so often what happens. When we release expectations, it opens us up to see what’s there, rather than only seeing what isn’t there, and how it doesn’t match up to the image in our head. 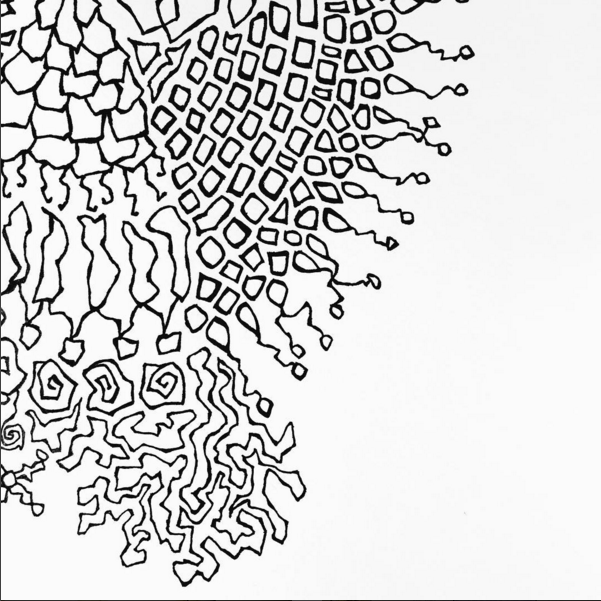 What’s really intriguing me about this, though is that this process of playing with pen and paper is revealing quirks and stylistic tropes that I keep returning to over and over. I’m fascinated with irregular shapes, herky-jerky lines that look like they could be carved in stone, or roughly hewn out of iron with primitive tools. Why do these shapes and lines fascinate me so? I don’t know. 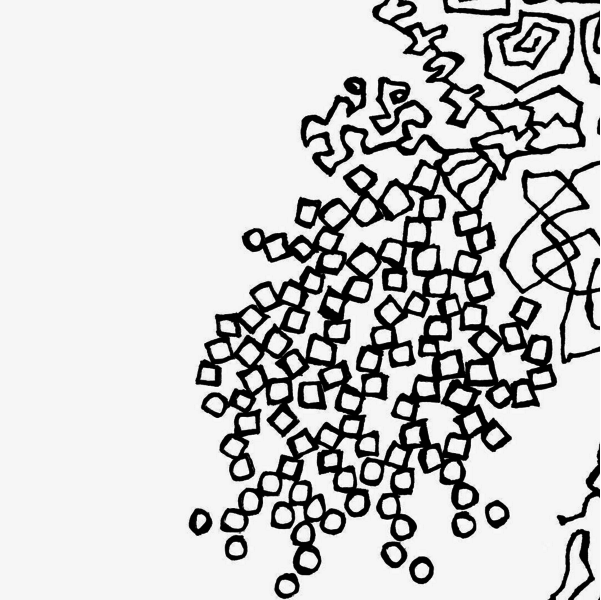 What I do know is that these shapes and lines are mine. I’m not copying anyone else. I’m not trying to produce a particular feeling or style. 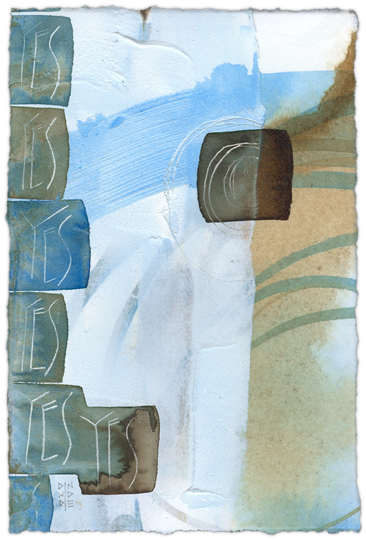 I’m simply exploring what is interesting to me, and that very process is revealing my style. My voice. This (the space of no expectations) is also the space where your authentic voice gets to emerge and flourish. So many people tell me their biggest desire is to find their artistic voice. The style that is uniquely theirs. The harder you pound away trying to find it, the more it hides. Your authentic voice is shy. It comes out when you’re NOT looking for it. When your attention is focused on “what if..?” and following your curiosity. When the ego drops away and you’re simply in the moment. That’s when your true voice creeps out, tiptoes over to you and twines around your ankle. You don’t find your true voice. When you stop trying so hard, it finds you.